When it comes to camping, fishing, and generally spending time outdoors, it is of the utmost importance to have a proper way to cook. You need something that can transfer heat well, have adjustability and flame control, and something that is easy to clean. Fortunately, the Winnerwell Woodlander Deluxe Wood Tent Stove delivers just that. 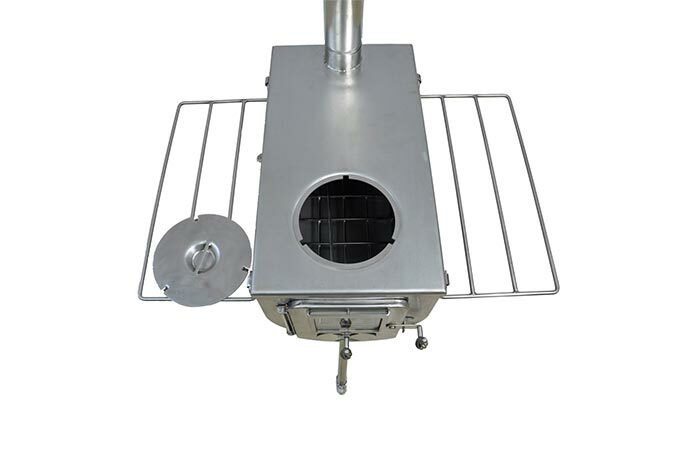 Featuring a complete stainless steel construction, the Woodlander also has the unique feature of having a flue that aids in smoke dispersion as well as oxygen enrichment. Featuring a stainless steel design, the Woodlander is extremely easy to clean and sets up in only a few minutes. Designed to be extremely easy to use, the Woodlander sets up in a matter of minutes and you’re ready to go. By being a woodstove, you can simply use wood to get your fire blazing and there is simply no need for propane or butane. 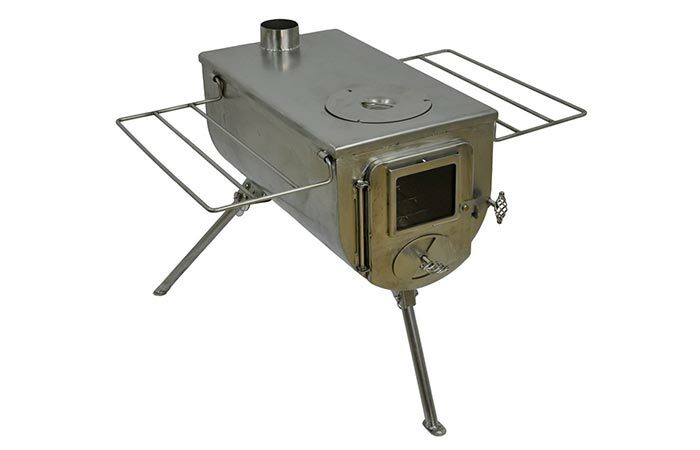 To aid in getting the proper amount of oxygen via convection currents and to disperse the smoke, the Woodlander features a 2.15-meter flue that is collapsible and fits right inside the oven while transporting. The stainless steel girdle gives you and excellent cooking area that is extremely sturdy, but to allow extra heat, the girdle is removable so that flames can lick the bottom of the pot. To ensure that you have a proper cooking area and flame control, the Woodlander features a stainless steel girdle that gives you a solid, sturdy cooking area. However, if you need more heat, you simply remove it and the flames can lick the bottom of the pot for higher temperatures. We also found it quite unique that the Woodlander features a glass viewing door that allows you to look at the flames as well as heating up your tent, shed or surroundings. To top this all off, the Woodlander also has accessories such as a water tank that fits on the flue for dousing, spark arrestor, tent protector, a fireproof mat and a carrying bag, that can be purchased separately.